Many light-years away from the safety of the Federation, the Starship Enterprise stands guard over an alien world whose unique natural resources could change the balance of power throughout the galaxy. 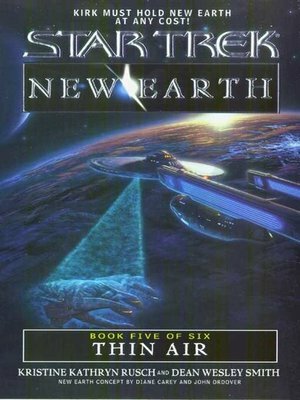 The ship's crucial assignment: to maintain a Federation presence on the Planet below, to defend the world's newly arrived inhabitants from hostile aliens, and to fight a solitary battle against all who would claim the planet's riches for their own. Against all odds, Kirk and his crew have preserved the struggling Federation colony on Belle Terre, but their heroic efforts may have been in vain In a last-ditch attempt to drive the entrenched settlers off their new home, the alien Kauld have contaminated the planet's atmosphere with a destructive biochemical agent that will soon render the entire world inimical to human life. With only weeks to spare, Spock races to find a scientific solution to their dire predicament, while Kirk takes the battle to the enemy, determined to wrest the secret of their salvation from the very forces out to destroy the future of this new Earth!